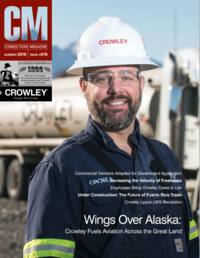 Crowley Fuels is proud to support DLA-Energy Pacific at Alaska and its customers through the challenges of vast wilderness, rugged mountains, frozen tundra and extreme weather conditions unique to Alaska. 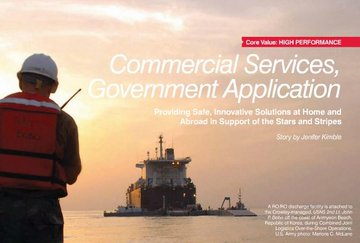 Crowley’s fuel storage and distribution capabilities enable DLA Energy in Alaska to support its customers including Air Force, Army, National Guard, Coast Guard, Federal Aviation Administration, Bureau of Indian Affairs, National Park Service and other federal agencies. Fuel distribution is by truck, vessel, and/or rail as needed to enable a robust supply chain. 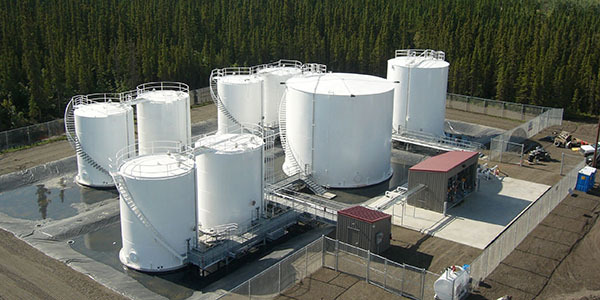 Crowley owns and operates 19 tanks farms in Alaska, ranging in size from one thousand to one million barrels; serving U.S. government, commercial and residential customers. Crowley Fuels is one of the state’s largest suppliers of petroleum products, and maintains a fuel terminal network offering total storage capacity of nearly 75 million gallons.